An 8 mo old baby who loses her speech, stops responding to her parents, and eventually can’t even sit up by herself. A 20 yr old woman who becomes severely depressed and who attempts to kill herself. A 65 yr old man, who in 3 months went from a healthy jogger into a depressed, confused man, diagnosed with senile dementia. A 54 yr old woman accused by her doctors of being an alcoholic and a drug seeker when she complains of intense, chronic back and leg pain. 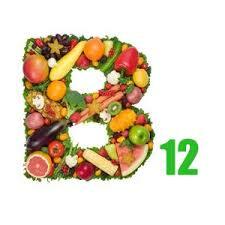 To get B12 from your diet, you need to eat meat, poultry, fish, eggs, dairy products, or foods fortified with B12. You can also take a sublingual (under the tongue) supplement. It is remarkably easy to become deficient in this nutrient. Toxins, poor diet, and other environmental factors over time affect the lining of the stomach and lose its ability to produce Hydrochloric Acid (HCL). HCL plays a key role in releasing vitamin B12 from food and is an easily attained food supplement. You can buy some at Whole Foods, PCC, GNC…or your local vitamin store. But also regularly consuming active probiotics such as fermented soy products (miso, tempeh), kefir, sauerkraut, or kim chee, will help to not damage the gut wall but also allow the body to transform the microflora into B vitamins. How cool is that?!?! 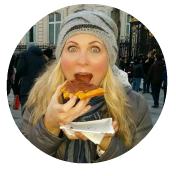 Now I’m not saying B12 is the cure all…but the brief amount of time and money required to identify a B12 deficiency is a small investment to make and may be one of the most important investments you’ll ever make!